Purchase more than 1 rubber garage floor and save $15 on every roll! 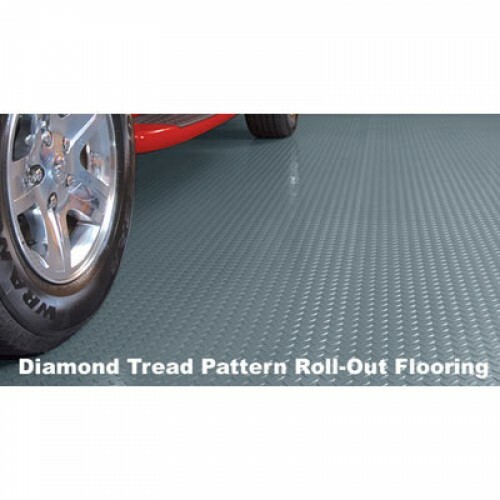 Diamond Tread garage floor mat is offered in specially formulated commercial grade material. G-FLOOR® Diamond Tread is preferred by many auto enthusiasts. It has the most 'macho' look and matches some popular garage storage cabinets. 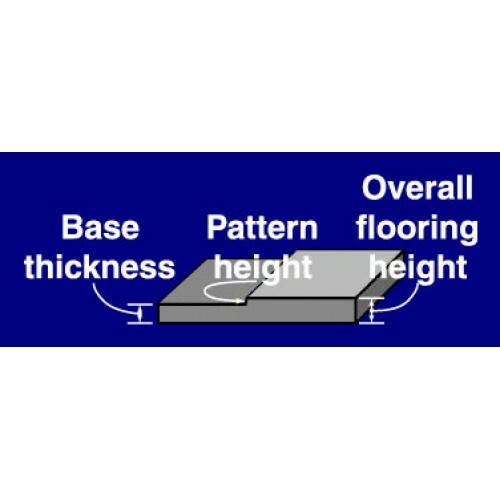 This pattern also provides improved traction over bare floors. 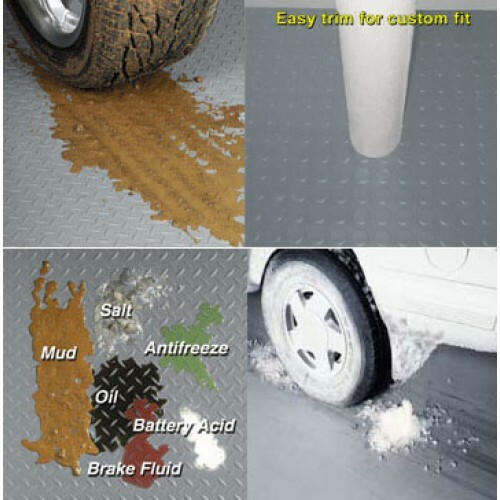 Keeps your garage looking better than new a rubber garage floor! 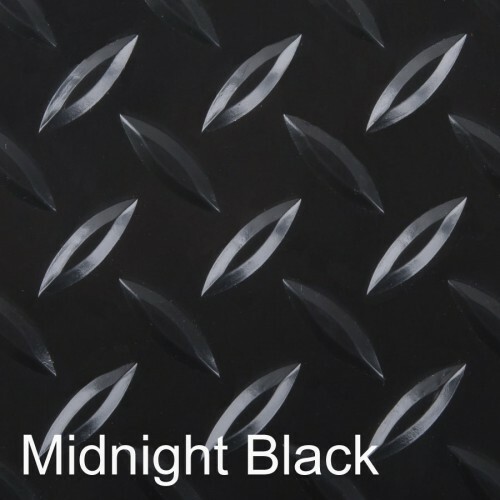 Most other rubber garage floor products only use high quality materials on the top 10%–20% of their product and laminate with lower-grade material that does not offer the same protection throughout. 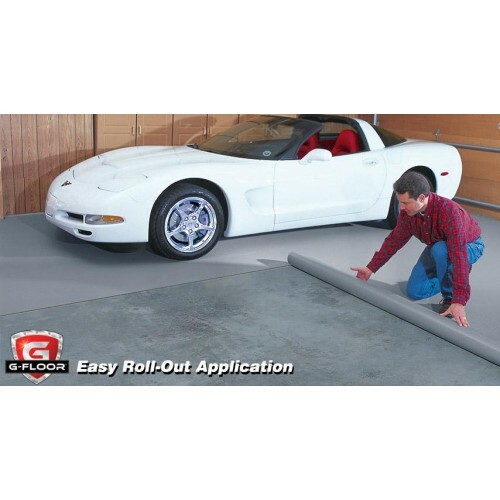 BLT G-Floor garage floor mat is 100% high quality polyvinyl throughout the entire product. Some products even have three layers of filler using some of the poorest quality materials available. 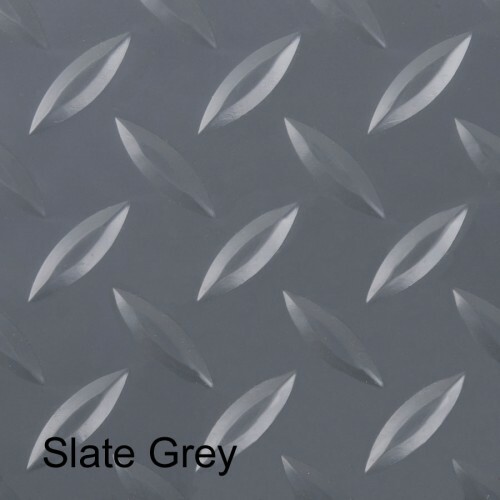 RaceDay Peel & Stick Garage Floor Tiles - Diamond Tread - 12"
RaceDay Peel & Stick Garage Floor Tiles - Diamond Tread - 12" Garage Flooring Tile Dimensions -.. Rolled Garage Flooring Purchase more than 1 and save $5 on every roll! Garage Flooring Dimen..
Rubber Garage Flooring Purchase more than 1 and save $33 on every roll!Dimensions - 10'x24'Diamo..